One of my friends is using ZOHO mail to manage his domain based email to send and receive official messages. Though he configured the service by himself, he failed to receive emails in the inbox. However, he can send messages without any issues. He was very frustrated because he lost many important messages due to this problem. Today he came to my home and asked me to troubleshoot it. The issue was very simple- wrong MX records. Everything in ZO Mail part is configured correctly but the actions on the domain side are pending. He purchased his domain name through GoDaddy and once changed the MX records, the problem disappeared. Anyone can make the same mistake, so I think it is better sharing the steps to fix email receiving troubles with ZOHO Mail. Zoho Mail has a well-documented tutorial to set email delivery for domains purchased from a wide range of domain registrars. The below link will lead you to a tutorial where you can troubleshoot email delivery problems for 1 and 1, Enom, Hostgator, Bluehost etc. Since his domain registrar is GoDaddy, I have followed the respective instructions. The screenshots provided below explain the basic procedure we have performed. 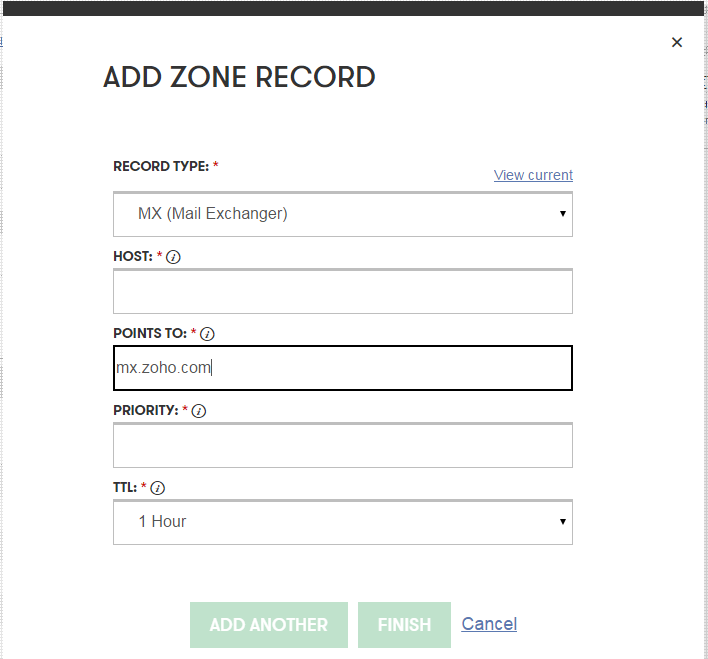 Click on DNZ ZONE FILE and click Add Record link. Now we must create two MX records with the following details. Click on finish button and don't forget to click "Save Changes". 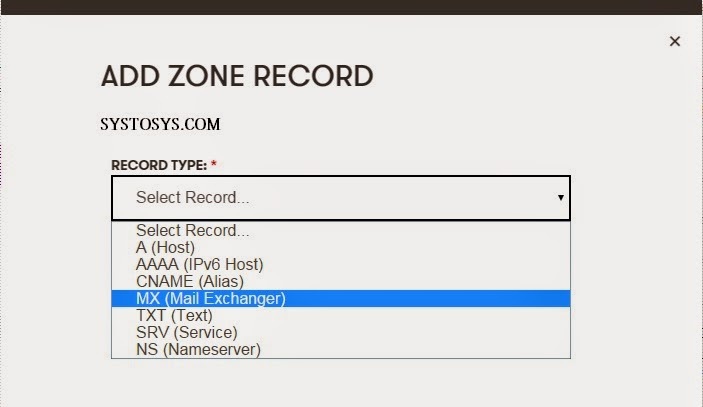 As we know, any extra MX records will affect the working of the mail server. We need to delete them as soon as possible. you can see all the MX records under the heading 'Mail Exchanger'. You can remove them by pressing delete symbol. Once it is done, every issue related to email sending and receiving by Zoho mail will disappear. If you want more assistance in configuring MX values on GoDaddy, follow the instructions explained in the link below.